I have sewn the blocks into rows and sewn the row together. Now I need to design how I want the borders to look. 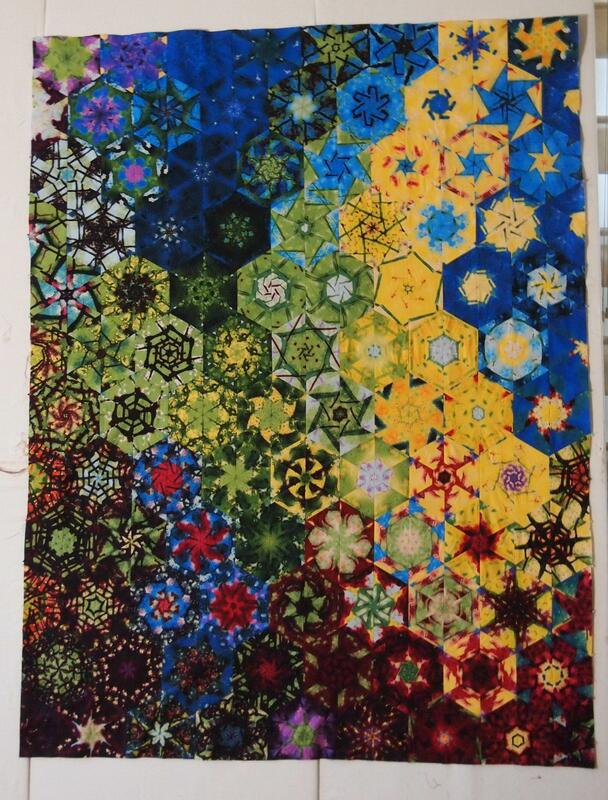 This entry was posted in Hexagon Quilts and tagged Hexagon Quilts on September 12, 2012 by ifthesethreadscouldtalk. Thanks, you know I am addicted. This is number 47, and I’m working on # 48 also. This is freaking gorgeous!! I am so addicted to this pattern…I see OBW everywhere because of you!! I am obviously addicted to OBW’s. I have another 45 waiting to be born.